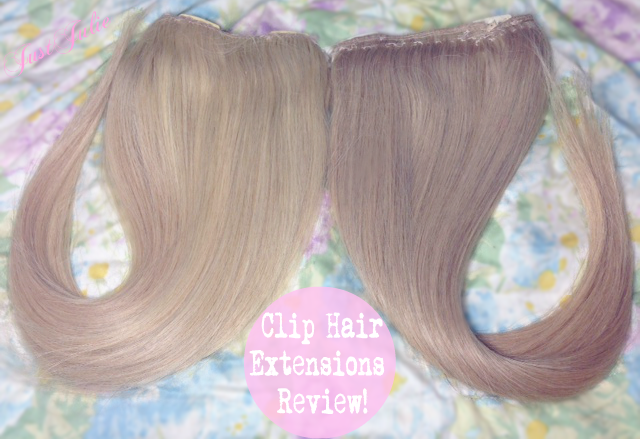 Clip Hair Extensions | The Review! I have been wearing hair extensions on and off for around eight years and no matter what I always revert back to my faithful Clip Hair Extensions. 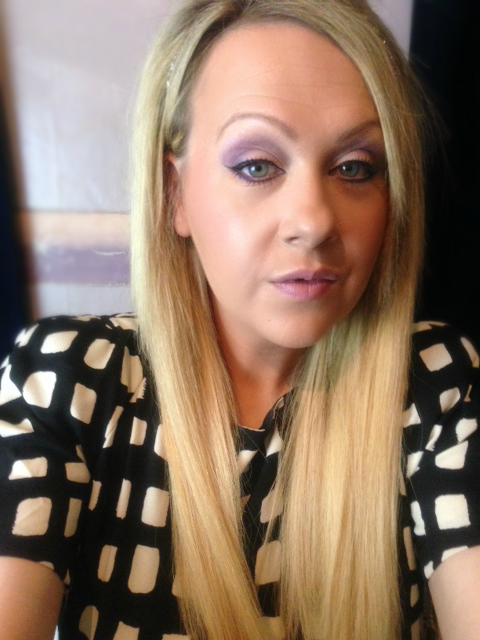 Up until three years ago I had tried multiple different brands, varying from expensive to dirt cheap, but I was never happy with them, that was until I came across Clip Hair Extensions nearly three years ago, just through a simple Google search. What caught my attention straight away was the wide rang of colours that Clip hair had to offer, which as any blonde who wears extensions will know, the blonde options most brands have to offer is quite minimal. The price range is what I noticed next. These are priced very reasonably. They are also 100% Remy hair too, which if you didn't know is 100% real virgin hair (untreated hair) with cuticle still intact, which results in smoother, tangle free hair. Over the past three years I've owned their normal sets, their double wefted sets and now currently wear their Human Hair Weft which is a huge weft of hair that can either be used to glue to your hair, sewn in like a weave OR like I wear it, cut down and clips added to them. The reason I opted for the Hair Weft was because I don't like the sizes that normally come with sets. I like to custom cut the wefts to the size of my head and then add as many wefts to each piece as I like, this way it's much quicker for me to pop in my hair extensions. Also this way I can make my extensions as thick a I like, as I often find sets aren't as thick as I'd like them to be. Yes doing all of this takes a considerable amount of time to do BUT it's something I would rather do to be 100% happy. To make my wefts I bought two different colours, #613 and #22. This way the colour will blend in better with my highlighted hair and look natural. 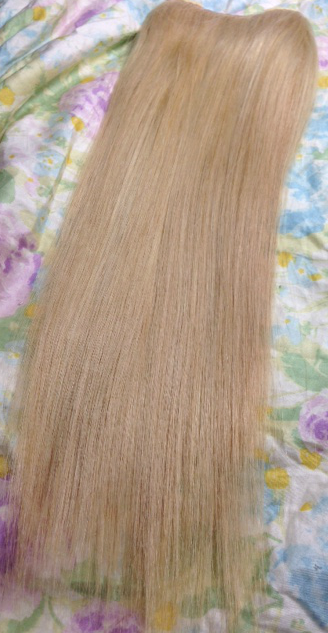 Each hair weft of the length I use (18 inches) costs £44.99, has a total width of 56-60 inches and weighs 110 grams. I have used just under 3 quarters of each set, as I do like my hair to be nice and thick, and will probably buy another hair weft to make another complete set. One thing to take note of is that the Human hair Wefts DON'T come with clips so you will need to buy them separately, which the website doesn't sell, which is a pain. Luckily I just cut off the clips from an old set and used them instead. 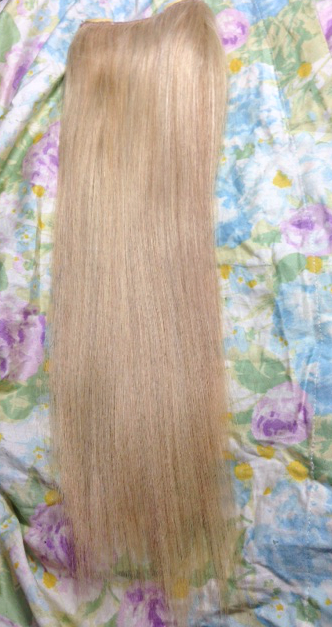 Now I first bought the Human Hair Wefts a year ago. I wore them extensions every single day for work and on days or nights that I was going out. I have also curled them untold times, so to say they were well and truly worn in is an understatement. The extensions lasted me just short of 10 months before I needed to get a new set, which is amazing! As I said I wore them every day and they were subjected to a lot of heat over that time! So YES I'm over the moon with how long these lasted me! I only needed to wash them every other month and gave them a trim about three times too. For the price these extensions are amazing! They're silky soft, feel and look like your own hair, wash up great and style really well too. Most people who don't know me don't even realise that I wear extensions... although I think it's obvious, but hey who am I to argue with other people! I couldn't recommend these extensions any more, in fact three months ago I made another purchase and re-bought two whole new wefts. Well I bought three, one being 14 inches but this colour wasn't the right one, so I need to buy the right colour again. If you're experienced with hair extensions then I would recommend buying the hair wefts, so that you can customise them to how you want them but if you're new to the world of hair extensions then opting for the Double Wefted Full Set would be the option to go for as these are thicker than the standard sets, so they will look far more natural. As I said I still have hair left over and will buy another set to make an additional set of extensions shortly, so when I do that I will write up an in-depth post on how I customise them, which will be great for any newbies out there. 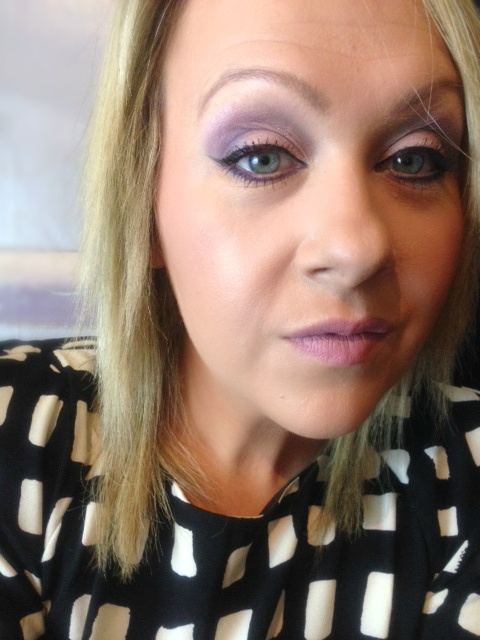 Do you wear clip in hair extensions? What is your favourite brand to use?